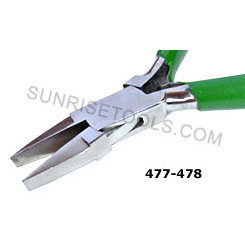 Description :-This plier has hardened and tempered carbon steel jaws, for accurate and delicate work. Ideal for wire cutting and work in tight spaces. Handle material is soft for comfort. 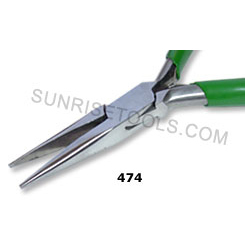 Description :-These chain nose pliers are made of stainless steel. They are very versatile and used by jewelry designers for all kinds of different applications. 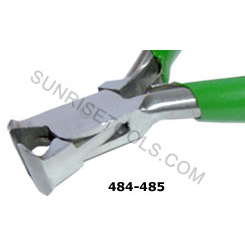 Smooth jaws and slightly rounded edges allow you to accurately crimp, shape, and bend. 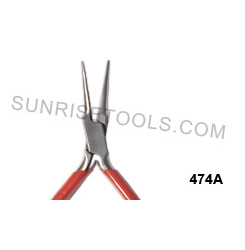 Description :-These Flat Nose Pliers are used for open and close Jump Rings, form wire, grip and straighten bent wire. The double dipped cushioned handles with ergonomic shape provide greater operator comfort, while the double leaf spring handles give more precise control. 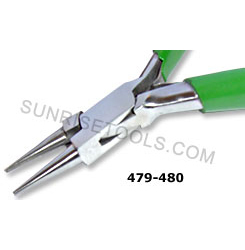 Description :-These superior quality pliers have comfortable cushion grips, double leaf springs and are specially designed for beading jewelry repair and other fine hobby work. Also it has a smooth round jaw that is perfect for bending and forming loops in wire. The long nose allows you to reach difficult areas. 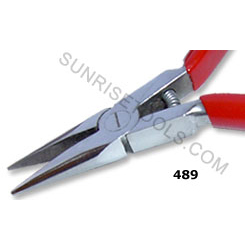 Description :-These top cutting pliers have been specially hardened by additional inductive heat treatment for easy cutting of hard wires. Plastic-dipped handles for added comfort and serrated jaws. 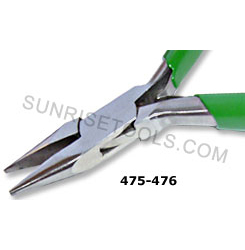 Description :- Bent chain nose pliers are used in electronics where they are often used in place of tweezers. 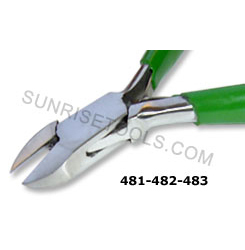 Fine tips on bent nose pliers provide exceptional access. 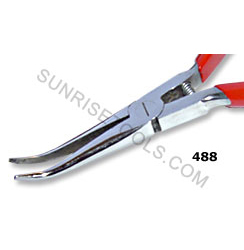 These versatile pliers are also used in jewelry making. These pliers are intended for beading and other fine hobby work. 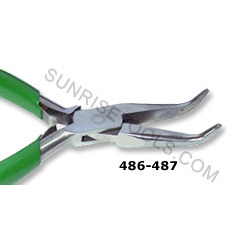 Description :-This bent nose plier is manufactured to high quality standards and great for wire wrappers and beaders. Also can be used for all kinds of jewellery making methods from bending wire and metal to grasping a jewellery finding. Soft grip handle reduces slipping.